As the mayor's office tweeted, "Ask nut what NYC can do for you, but what you can do for NYC"
The project aims to count squirrels and present the findings to the public; For more info, visit www.thesquirrelcensus.com. Things may get a bit nutty out in Central Park — now that a squirrel census has made its way to the city. That’s right, this month volunteers will make their way to Central Park to count these furry critters and submit their findings from Oct. 6 to Oct. 20 as part of the most recent Squirrel Census. The Squirrel Census is an award-winning multimedia science, design, and storytelling project focusing on the Eastern gray squirrel (Sciurus carolinensis). The project aims to count squirrels, get the public involved in nature and present the findings. “The ultimate goal is to acknowledge the Eastern gray and learn from it, get people to experience nature and consider their place (and the squirrel's place) in it and to bring joy to people,” the Squirrel Census team tells NBC 4 New York. As the mayor's office aptly tweeted, "Ask nut what NYC can do for you, but what you can do for NYC." The Central Park Squirrel Census is looking for hundreds of responsible, detail-oriented volunteers 14 years of age and older to participate in the count by becoming a “squirrel sighter” during one of the many shifts planned. 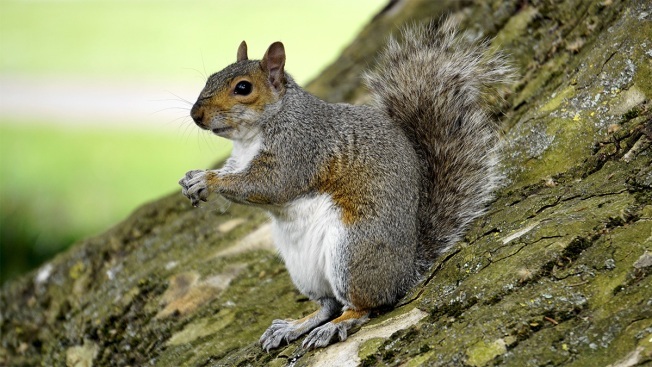 “Squirrel sighters” will spend roughly two-and-a-half hours counting squirrels in Central Park. Shifts are on a “first come, first count” basis, project organizers say, and are in the morning from 7:30 a.m. to 10 a.m. and the late afternoon from 4 p.m. to 6:30 p.m. These volunteers will also undergo a half-an-hour orientation at the beginning of their shifts. There have already been two previous Squirrel Census in 2012 and 2016, with both focusing on the furry population of Inman Park in Atlanta, Georgia. Although the organization doesn’t plan regular censuses, considering the planning, counting and presentation of the data, it appears that they perform one every three years. “We consider Central Park "the moon of all parks," and it's twice as big as Inman Park. So this is like "going to the moon" for us — it's a big, complex, time-consuming mission. Also, Central Park is the best known park in the world, and a perfect example of how a city and its wildlife use urban green space,” the Squirrel Census team says. Central Park also presented a unique opportunity to gather a more comprehensive insight into the health of urban green space, as well as a chance to get more people involved in nature. “We are also curious how squirrel population numbers might or might not reflect the health of urban green space. Central Park is a great place to gather this squirrel data. We also think it's a great opportunity to get people involved in urban nature, and see it through a different lens,” the team added. Additionally, the Squirrel Census team hopes that because of Central Park's popularity, other cities and parks will consider such efforts. For more information on how to become a volunteer and the days the counts will take place, visit www.thesquirrelcensus.com.